One hundred and one competition teams flocked to Sea Terrace Park on Sunday to share their barbecued briskets, ribs and other saucy concoctions in the city’s third annual hosting of the State BBQ Championship. The event is the largest of its kind on the West Coast. First-time competitors and seasoned veterans from across the west shared the lawn as thousands of visitors dug into short-ribs, pulled-pork sliders and barbeque stuffed jalapeño poppers, to name a few offerings. 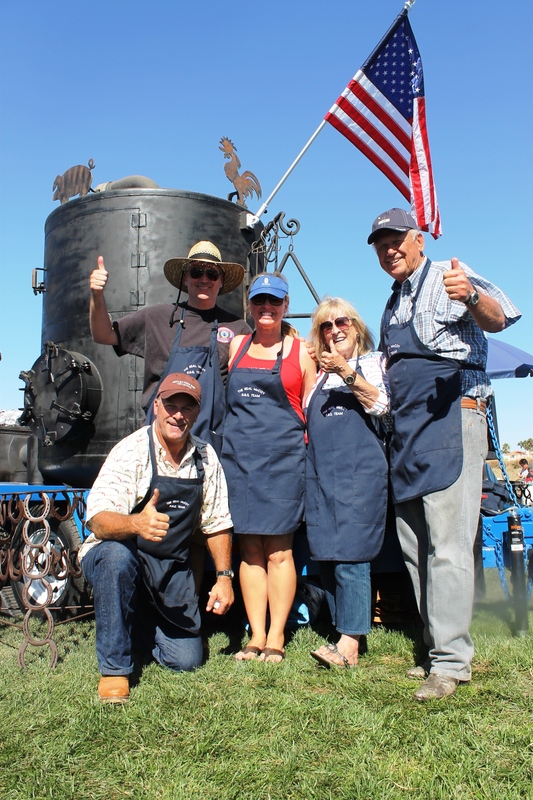 “We’re undefeated,” quipped Don McCoy, a Dana Point resident, who along with his Real McCoy team entered their first-ever barbecue competition. Barbecue chefs, both professional and amateur, competed in categories including chicken, ribs, pork, brisket and dessert for a share of $20,000. Beer gardens were manned by U.S. Marines from the 5th Marine Regiment, and volunteers from its support group, which benefited from beverage sales. Members of the local Veterans of Foreign Wars Post 9934 were also on hand selling tasting tickets, and benefiting from the proceeds. Due to our recent website update, some comments had to be transferred manually. This post does not reflect the time comments were originally posted. Please see the time stamp below the commenter’s provided name for the original posting date and time. Great article – really captured the essence of the event!